US Orthodox Jewish group clarifies, after Pew Research Center concludes that Jews regard Evangelicals least positively among all Christians. The Coalition for Jewish Values (CJV) today issued a statement declaring that "Orthodox Jews have a high regard for Evangelicals," and that they "applaud" the advocacy of Evangelical Christians for moral values "that come from Hebrew Scripture." This comes in the wake of a report from the Pew Research Center published earlier this year, which determined that Jews regard Evangelicals the least positively among all Christian denominations. 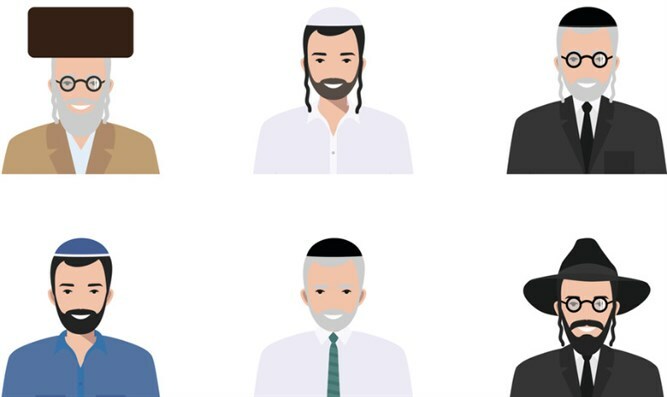 "While we understand why Pew Research did not subdivide the comparatively small Jewish population," said Rabbi Yaakov Menken, Director of the CJV, "it is nonetheless important to understand that Orthodox Jews, including the great majority of America's rabbis, have a very different view." The CJV statement acknowledged "vast theological differences" between Judaism and Christianity, yet also pointed to strong correlations between the positions of Evangelical Christians and "those maintained by Rabbinic tradition." Issues such as the definition of marriage, religious liberty, and beginning and end-of-life matters were cited as examples where the two groups find "common ground" -- given, the CJV said, that Evangelicals "are deriving positions from explicit verses in the Five Books of Moses." The statement went even further. Rabbi Aryeh Spero, Senior Rabbinic Fellow of the CJV, added that "wholesome family life, traditional values, a less vulgar pop-culture, [and] the need for individual responsibility and accountability" are all issues where Orthodox Jews and Evangelical Christians share a common viewpoint. Both groups, as well, strongly support the right of Jews to live, build and study anywhere in Israel. "It is important that we correct the record," concluded Rabbi Menken, the primary author of the statement. "Evangelical Christians, and other sincere Christians who are helping to promote traditional morality in the public sphere, deserve to be applauded for their efforts - especially by those who have revered the source of those moral values for over 3300 years."